There's a full moon tonight, and it is a Blood Moon. At least, that's the Medieval name for the full moon at the end of October according to the Pagan Calender, which I normally find to be quite reliable about such things. 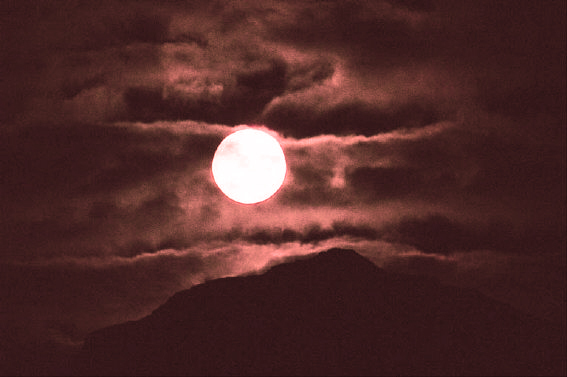 All I can say is, what a perfect name for a full moon so close to Hallowe'en, or Samhain as pagans call it. It is a perfect time for scrying. What I'll be doing tonight is getting out my cauldron, filling it with water and dropping a silver coin into it, to fall to the bottom. Then I will open the curtains and let the light of the full moon fall onto the water. By gazing into the water with the eyes slightly unfocused, it is often possible to get a glimpse of what the future might hold. As the veil between the worlds is thin at the time of Samhain, sometimes the moon and the water will help spirits of departed loved ones give messages from beyond the grave.